One more way that search engines can index our blog is by doing Blog Ping. 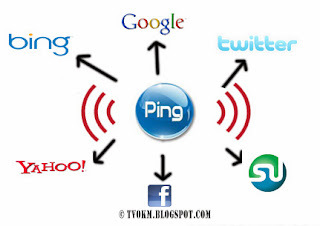 Blog Ping is one way to increase your PageRank in search engines, one of which is Google. 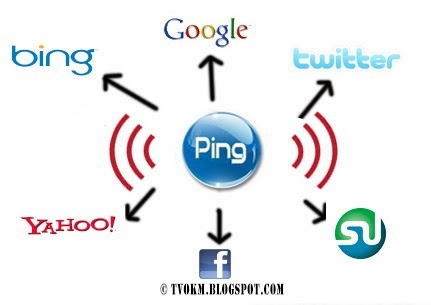 How Blog Ping works is to update your blog content so that it can immediately be listed in search engines. Use Blog Ping every time you update your blog. For example, today you make one or two articles, then you do Blog Ping. So, your article will immediately be listed in the directory search engine. The website above has the same feature, which is by posting the blogs URL you will have submitted it to a search engine or the most widely used website such as Google, Yahoo, Bing, and others. Actually, there are several other facilities than Blog Ping, but by doing what I explained above, it is very helpful to boost the performance of your blog/website. Huh, here are the only SEO tips about Blog Ping that I can give. One experience that I like to share is to perform SEO (Search Engine Optimization). Persistence and consistency are needed to make blog posts correspond to information that you have and provide quality articles to bloggers and visitors. Don't give up easily and stay motivated. That was a little explanation of how to update our article on search engines,. If you are having any trouble, don't hesitate to ask via the comments field. I will try to help you, and so when there is a shortage in this article. I will gladly accept and help to improve its shortcomings. really nice post about how to do ping proper way.